Aaton-Digital is unveiling the full integration of the Wisycom and Lectrosonicswireless receivers in their CantarX3 and Cantar-Mini recorders giving direct access to the UI of the receivers from the Cantar allowing set-up of options or channel frequencies as well the use of a spectrum analyser. The final version of the Cantaress advanced mixing surface companion of the CantarX3will be demonstrated on the booth. The Transvideo StarliteHD V2 monitor-recorder with its new firmware gives increasedresolution and reduced latency, enhances its many capabilities further and makes it an excellent choice for focus pulling. The upgrade is available for most of existing StarliteHD worldwide for a cost of Euros 165. The StarliteHD-Canon is connected to a ME-200S-SH camera; this version gives a tactile human interface to the ultra light and sensitive cubic camera from Canon. Full access to the camera menu is provided, as well as shortcuts for specific adjustments. 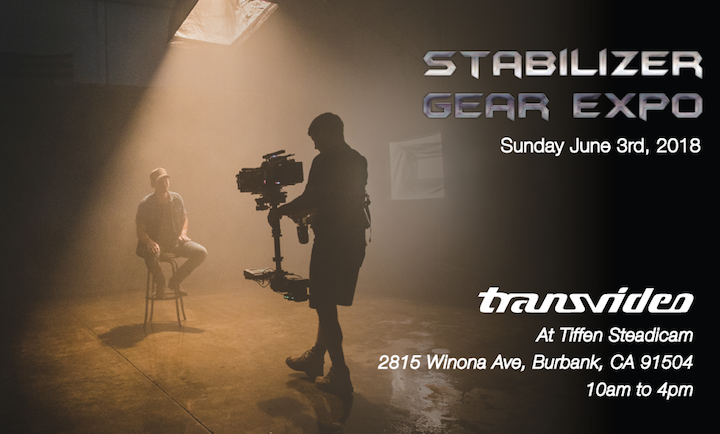 Tiffen will demonstrate the latest evolution of the CineMonitorHD8 X-SBL on their top Steadicam rigs. The body-rig operator’s community acclaims this highest version of the CineMonitorHD, with 2500 Nits brightness and an exceptional contrast ratio. The Transvideo StarliteHD-e monitor-recorder will be on show with its intelligent interface for Zeiss eXtended technology lenses and Cooke/i lenses, enabling the recording of static and dynamic lens metadata from these optics and cameras. The information is captured and stored on an SD-card including for each time code the metadata. Aaton-Transvideo will be at the Stabilizer Gear Expo (booth #1) and will proudly present the latest CineMonitorHD8 X-SBL for the most demanding Steadicam™ operators. Very high brightness, high contrast, Mil-grade optical bonding and AR coating. VirtualHorizon2 embedded. See also the latest StarliteHD5-ARRI V2 with Hi-res and low latency, perfect for focus pullers. Upgrade kits* available for StarliteHD or StarliteHD5-ARRI V1 with a special “Stabilizer Gear Expo" discount. *We can make the upgrade for you on booth #1 if you come with your StarliteHD or your StarliteHD5-ARRI.